Animals can teach children about human behavior and body language. Arguably, learning to care for animals can be the first stage in learning to care for others, and pets can teach social responsibility. Although, interestingly, there are those who say children need to know something about responsibility first. Pets can also help teach kids about some of the really big issues, including death and reproduction. Regular contact with animals can also make children calmer, more co-operative and able to concentrate for longer. One study of elementary schools in Australia found that pets improved class cohesiveness while helping to create an orderly environment. 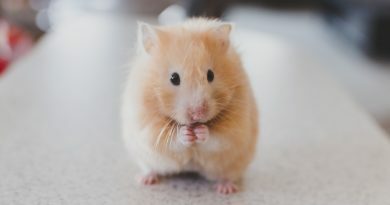 Equally, pets can be great for encouraging withdrawn pupils to talk and open up, often succeeding where teachers, fellow pupils and even parents have struggled. Green Chimneys School, 65 miles north of New York City, has 300 children with emotional, behavioral, social and learning challenges. The animals are central to its ethos. Each student is assigned an animal, and the school has a 165-acre farm and a wildlife center. Once they’ve been with the animals, the pupils often find it easier to talk to someone else. There are health benefits for pupils, too. One study from England’s Warwick University found that animals in the classroom reduced absence by an average of up to nine days a year per child. Pets can be used for all sorts of subjects, from inspiring creative writing to budgeting for its food and upkeep in math class. One theory is that using animals to teach raises children’s level of interest and triggers important learning techniques. In particular, pets have been shown to help under-achieving students. But teachers should consider how an animal will be integrated into their classroom, and be sure that learning goals couldn’t be just as easily achieved with, say, field trips, a DVD or soft toys. The decision to bring an animal into school is unlikely to succeed if the teacher is half-hearted. Anything less is unfair on the animals and, ultimately, the children too. A pet means extra work and expense. Careful thought needs to go into who will feed, clean and water the animal. Who will pay for its food, cages, water bottles, feeding bowls, bedding and veterinarians’ bills? It’s also crucial to think about where the animal will live – will it really be OK overnight in a draughty classroom? And who will care for it on weekends and holidays? The animal also needs the right temperament to work with kids, and be free from disease and parasites. It’s also important to check if any pupils have allergies, and to buy from a reputable dealer. A pet needs carefully settling in before it can work with children, and pupils should also be prepared, for example by knowing about hand washing after handling. 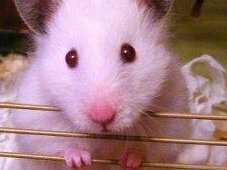 The best pets for school tend to live in cages, exercise unaided and are happy unattended outside school hours. Birds and rabbits typically dislike noise and lack of space. Rabbits fare best in groups, and reptiles need special conditions and careful handling. Fish, worms or stick insects are low-maintenance, take up little space and are affordable, although children can find them boring. Guinea pigs enjoy being handled and rarely bite. They are also larger than gerbils, hamsters and mice, so can withstand heavy handling. And they are awake in daytime. 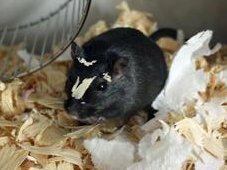 Nocturnal mammals, like hamsters, don’t offer much to look at, and can become unsettled or bite if woken. The benefits of pets in education are potentially huge. But every teacher who takes an animal into their classroom needs to think through all the implications very carefully, while considering how they will use it to enhance the children’s learning experience, before taking the plunge.